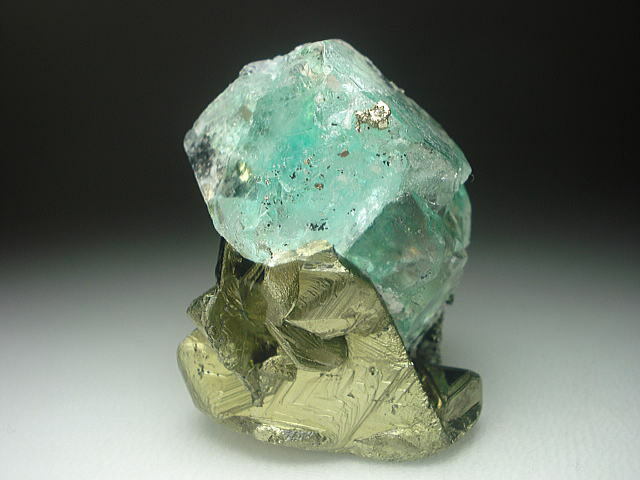 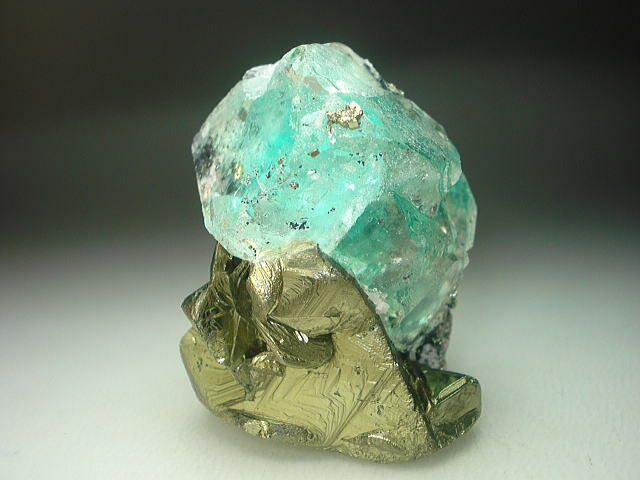 An unusual bluegreen fluorite is sitting on the top of a beautyfull and big chalcopyrite crystal. 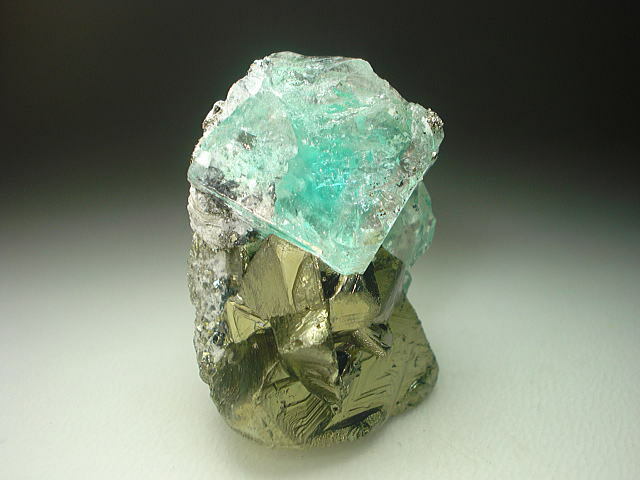 The Fluorite crystal has a demage but it is still an aestetic and beautyfull specimen. 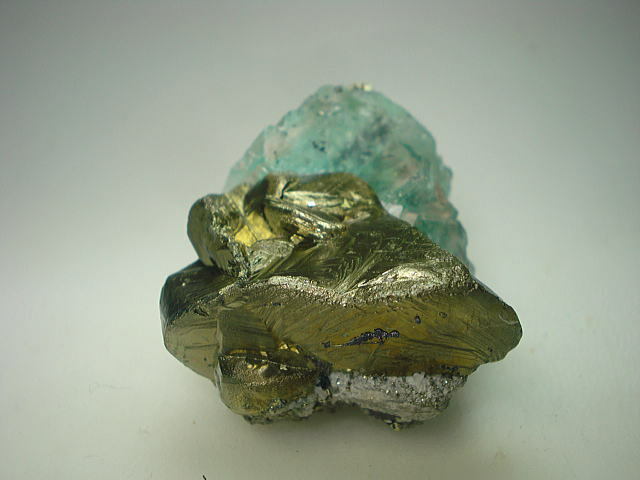 although it is a lead, zink mine.